• Perfect anywhere you’d like to hide outlets when not in use and enjoy the additional capabilities of three plugs when they are. 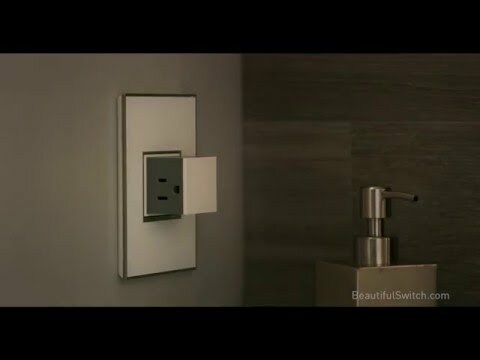 • The adorne Pop-Out Outlet features three plugs for added power and disappears into the wall with a simple push when not needed. • This item is also available in a 2-gang option. Rated 5 out of 5 by Jax Bath from GREAT PLUG!!! I bought two for bathroom remodel. People keep asking where the electric outlet is. When I show them, they are amazed.